Expertly Blended HP Reduced Salt & Sugar Brown Sauce. HP Reduced salt and sugar Brown Sauce. Since 1899, HP has set the standard for quality brown sauce. 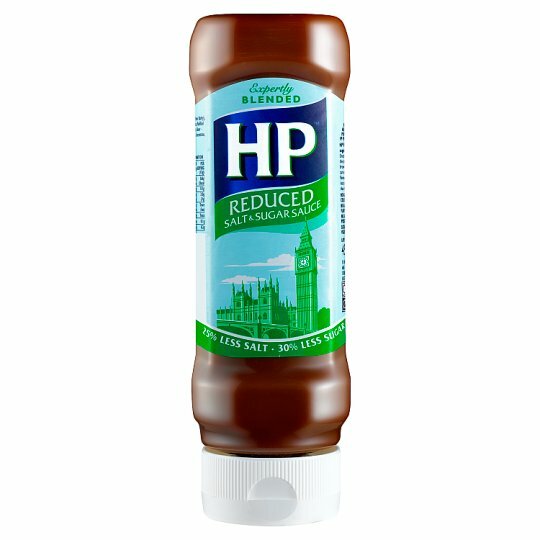 And now you can experience the unique flavour of HP with 25% less salt and 30% less sugar than Original HP Sauce. Great on scrambled eggs. Try on jacket potatoes or baked beans, it's delicious! SPICE UP YOUR COOKING WITH HP! Create mouthwatering tasty meals. Why not add some HP spice to casseroles, stews and soups, give sausages a tasty glaze or give onion gravy some punch. Shepherds Pie. Add a good dollop of HP sauce whilst cooking the meat and it will give it a rich, tangy, spicy flavour.